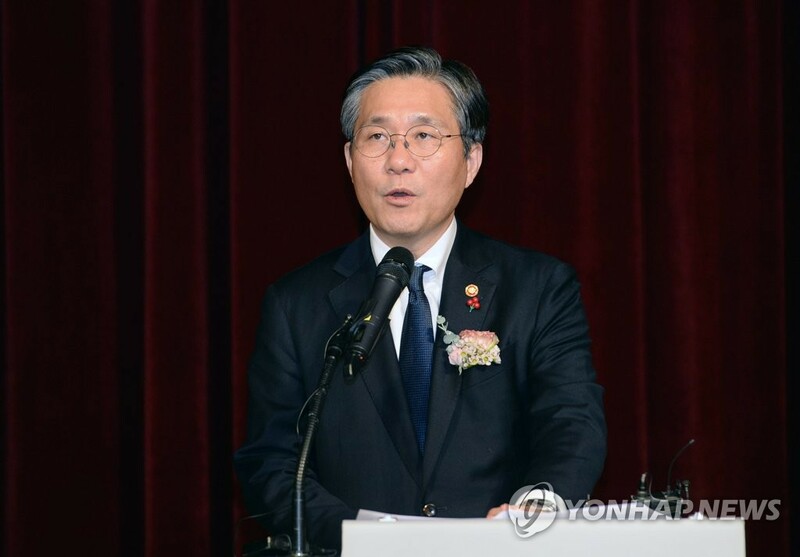 SEOUL, Feb. 7 (Yonhap) -- South Korea's industry minister on Thursday called for manufacturers to focus on the quality of their growth as the sector is expected to suffer from a global economic slowdown this year. Minister of Trade, Industry and Energy Sung Yun-mo made the remarks at a meeting with heads of local economic institutes earlier in the day. South Korea's exports are facing sluggish growth this year mainly due to external factors, such as a trade dispute between the United States and China, a global slowdown and a decline in oil prices, Sung told the meeting. "However, it is time to look back on whether the manufacturing sector put too much focus on expanding quantity, rather than pursuing a high-quality growth model," the policymaker said. The government will set up a task force to reinvigorate exports by the end of this month, Sung said. South Korea's outbound shipments declined 5.8 percent in January from a year earlier, hit by weaker performances by chips and petrochemical goods. Total exports came to US$46.3 billion last month, down from $49.2 billion posted a year earlier, according to official data. It marked the second consecutive month of an on-year drop. South Korea had not posted an on-year decrease in exports for two straight months since the September-October period of 2016.